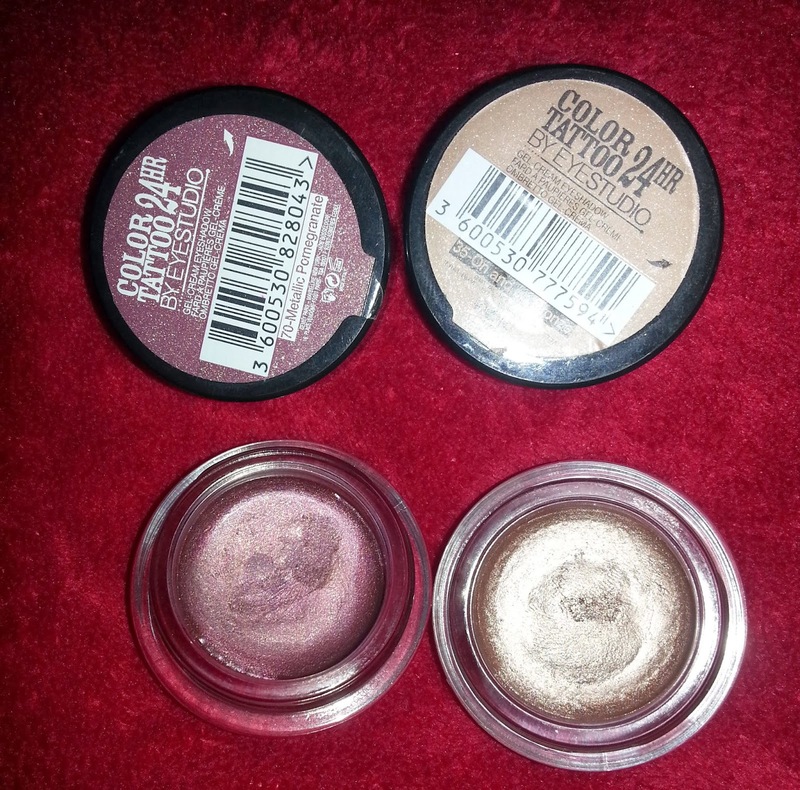 Today I thought I would show you two eye shadows that I have been using. These are a cream eyeshadow for those of you interested, I find these are better to put on the lid when using your finger, only because the colour does clog up the makeup brush and they are hard to blend. – Right: On and on Bronze. They are super affordable I bought mine in Boots for about £5 I think they are on offer the moment now though, so get yours now before they go. Here is a closer look into the shades, they do have a hint of shimmer to them which is hard to see as the light keeps reflecting off them. As you can see the On and on bronze on the bottom has a more golden tint to it, where as the Pomegranate shade above has a more plum tone/ dark purple tint. 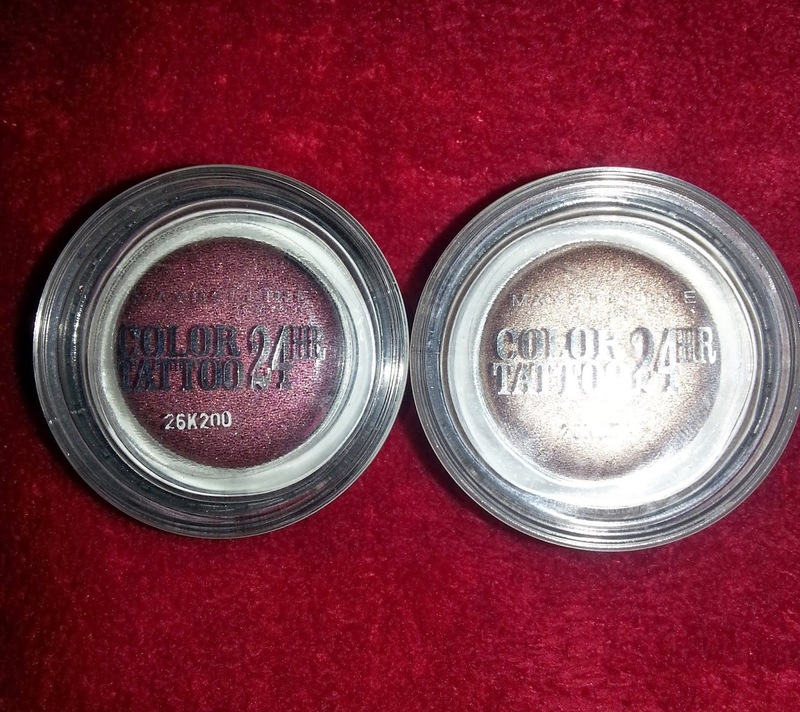 These colours are absolutely gorgeous and I would definitely recommend them, they are so pigmented, which I did not expect and they are definitely like a tattoo I struggled to remove mine after I wore them 🙂 however that is a benefit as I find with most eye shadows the colour tends to fade during the day. 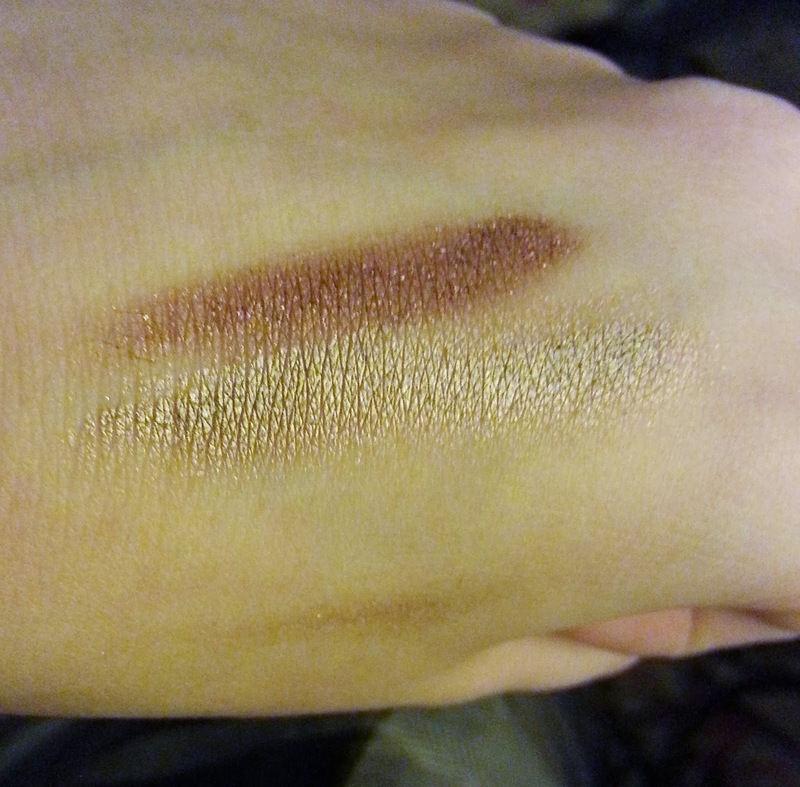 The only downside I found to these is that they do crease a lot on the lid, and because they are a cream eyeshadow they leave a bigger crease than a powder eye shadow. I suggest you try them with an eye primer unfortunately I do not own one so I could not compare the difference. Overall I would definitely recommend these to you as they are definitely affordable and worth it, like I said above the only downside was that they crease but they are amazing, and give a bold and profound look to your eyes. Do not forget to follow me with the links above, and the link to my instagram is in the right column.